Seeking to extend its FIBA Americas U18 gold medal streak to seven consecutive championships (2004-2014), the 2016 USA Basketball Women’s U18 National Team will resume training July 2-9 at the United States Olympic Training Center in Colorado Springs, Colorado. Training camp will get underway at 9:00 a.m. (MDT) on July 2, and the team will practice twice a day from July 2-8 with the exception of July 4 when the team will train once, 11:00 a.m.-1:00 p.m. (MDT). 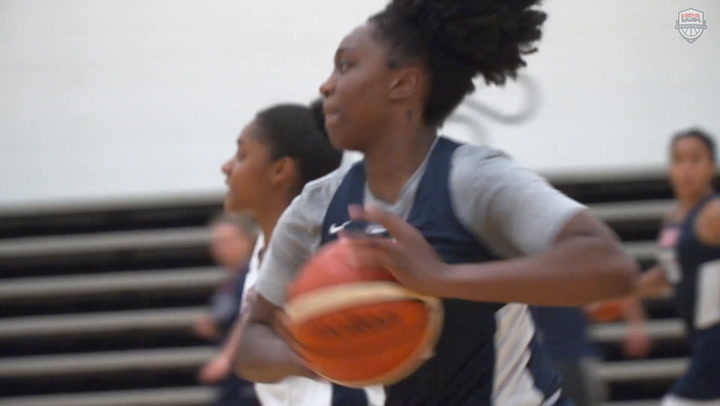 Additionally, at 5:00 p.m. (MDT) on July 5, 6 and 7, the USA team will face the Japan Women’s U24 National Team in scrimmages open to the public. The USA will look to defend its 2014 U18 gold medal finish at the 2016 FIBA Americas U18 Championship, where the top four finishing teams will also earn a berth into the 2017 FIBA U19 World Championship. Athletes for this team must be U.S. citizens who are 18 years old or younger (born on or after Jan. 1, 1998). Members of the USA U18 National Team include: Jeannie Boehm (New Trier H.S./Winnetka, Ill.); Rellah Boothe (IMG Academy/Ocala, Fla.); Chennedy Carter (Timberview H.S./Mansfield, Texas); Sidney Cooks (Saint Joseph H.S./Kenosha, Wis.); Lauren Cox (Flower Mound H.S./ Flower Mound, Texas); Dana Evans (West Side Leadership Academy/Gary, Ind. ); Tyasha Harris (Heritage Christian School/Noblesville, Ind. ); Ruthy Hebard (West Valley H.S./Fairbanks, Alaska); Valerie Higgins (Chaminade College Prep/Granada Hills, Calif.); Amber Ramirez (Karen Wagner H.S./San Antonio, Texas); Megan Walker (Monacan H.S./Chesterfield, Va.); and Evina Westbrook (South Salem H.S./Salem, Ore.). 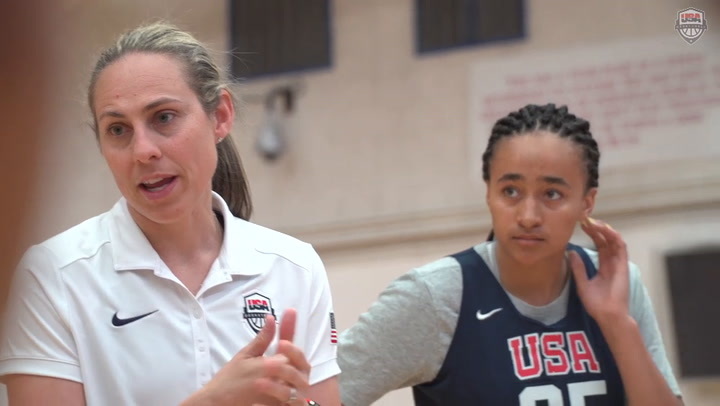 Suzie McConnell-Serio (Pittsburgh) will head this year’s USA U18 Team, with Kamie Ethridge (Northern Colorado) and Charlotte Smith (Elon) serving as assistant coaches to round out the staff. 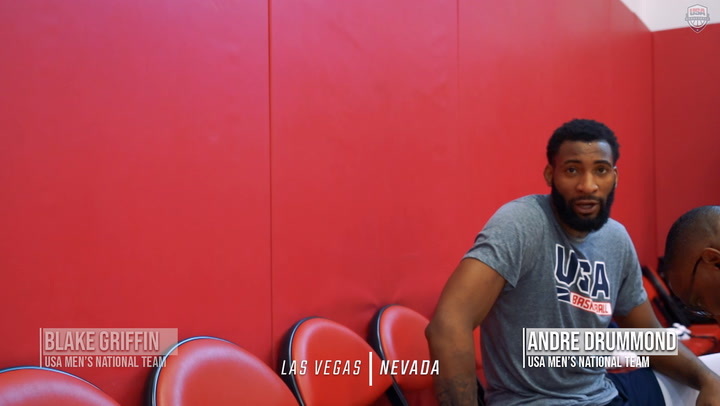 The team features nine players with at least one prior USA Basketball experience. Cox is a three-time USA Basketball gold medalists having helped teams to gold medal finishes at the 2015 FIBA U19 World Championship, 2014 FIBA U17 World Championship and the 2013 FIBA America’s U16 Championship. Cooks, Ramirez and Walker recently teamed up to win the 2016 USA Basketball 3x3 U18 National Tournament on May 1 and went onto represent USA Basketball at the 2016 FIBA 3x3 U18 World Championship, in Astana, Kazakhstan, where they captured the silver medal. Six players on the USA U18s graduated high school in 2016 and have signed a National Letter of Intent, including Boehm (Harvard); Cox (Baylor); Harris (South Carolina); Hebard (Oregon); Higgins (Southern California); and Ramirez (TCU). Six players are from the class of 2017. The FIBA Americas U18 Championship will feature eight U18 national teams from North, South and Central America and the Caribbean. The top four finishing teams will qualify for the 2017 FIBA U19 World Championship. The USA will open Group A play against Guatemala at 6 p.m. (all times are EDT) on July 13, followed by Brazil at 6 p.m. on July 14 and its final preliminary round game against Venezuela at 1:30 p.m. on July 15. Group B includes Canada, host Chile, Mexico and Puerto Rico. The top two finishing teams from each preliminary round group will been in the semifinals on July 16, and the finals will be on July 17. The United States, along with Canada, earned an automatic berth into the 2016 FIBA Americas U18 Championship from North America. Also earning a place in the tournament were the top three finishing teams from the 2015 South American U17 Championship, including Brazil, Venezuela and Argentina. Additionally, Guatemala, Mexico and Puerto Rico earned the three berths available from the 2015 Centrobasket U17 Championship. 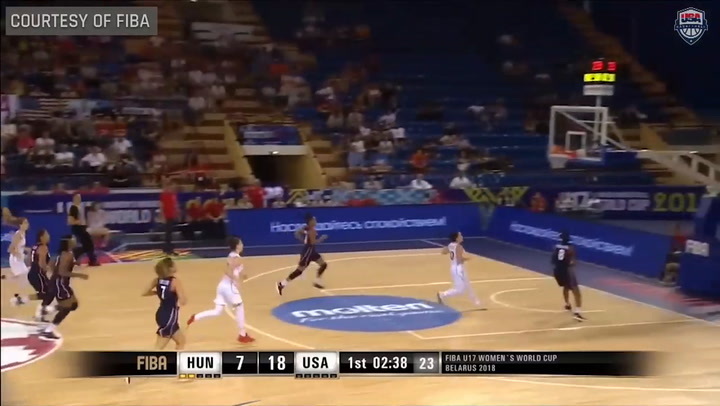 USA women's teams boast of a remarkable 48-2 overall record in U18 / Junior Qualifiers and have won gold in 1988, 2000, 2004, 2006, 2008, 2010, 2012 and 2014, while capturing silver medals in 1992 and 1996. 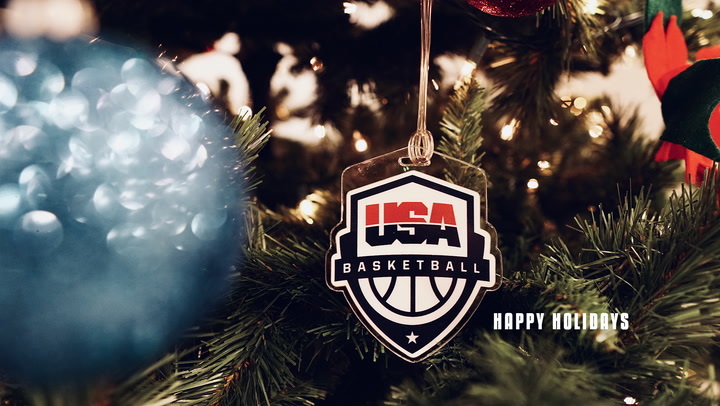 The list of players who have competed for USA U18 national teams include: Jayne Appel (2006); Alana Beard (2000); Kelsey Bone (2008); Tamika Catchings (1996); Marissa Coleman (2004); Napheesa Collier (2014); Skylar Diggins (2008); Stacey Ford (1998); Sonja Henning (1988); Niesa Johnson (1992); Rebecca Lobo (1992); Maya Moore (2006); Chiney Ogwumike (2010); Nneka Ogwumike (2008); Candace Parker (2004); Courtney Paris (2004); Cappie Pondexter (2000); Nicole Powell (2000); Lynn Pride (1996); Breanna Stewart (2012); Diana Taurasi (2000); Morgan Tuck (2012); Brianna Turner (2014); Candice Wiggins (2004); A’ja Wilson (2014); and Tiffany Woosley (1992).